The telephone is often the weapon of choice for crimes of fraud and identity theft. Always be cautious when talking to strangers over the phone. Don’t give out personal information or credit card numbers if you have not verified the organization the caller claims to be representing. If you believe you are a victim of tax-related identity theft, please fill out this form and follow the below instructions. Tax-related identity theft occurs when an identity thief uses someone else's stolen social security number to file a tax return claiming a fraudulent refund. 1. Print or type form. After completing form, please return it by mail to the below address or by email to: TelephoneReporting@SLMPD.org. Don’t buy products over the phone from companies you are unfamiliar with. Always request written materials from the company or charitable organization. If the caller claims they can’t send this information, it is likely a fraudulent agency. Check out unfamiliar companies by using resources such as the Better Business Bureau, Attorney General or National Fraud Information Center. Do not pay for services in advance. You must act now or you will lose this opportunity. You’ve won a free gift, vacation, etc. This is a high profit, low risk investment. Someone can pick up money or a check from your residence. Never respond to an offer you don’t understand. Report any potentially fraudulent companies to police. Never throw away ATM receipts, bank statements or credit cards in usable forms. Shred these documents to make them illegible to thieves. Keep a list of phone numbers to cancel credit cards if you discover they’ve been stolen. Report any suspicious activity to banks and credit card companies. Contact Police if you discover unauthorized activity on your accounts. If there are unfamiliar charges on credit or bank cards, call your credit card company or bank immediately. If you notice your securities investments or brokerage account has suspicious activity report it immediately to the Securities and Exchange Commission. If someone has used your name and filed for bankruptcy, write to the U.S. Trustee in the Region where the bankruptcy was filed. For a listing of Regions visit: http://www.usdoj.gov/ust . 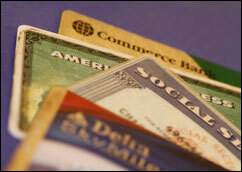 Those committing fraud and identity theft today are more sophisticated than ever before. However, there are many things you can do to decrease your chances of becoming a victim.